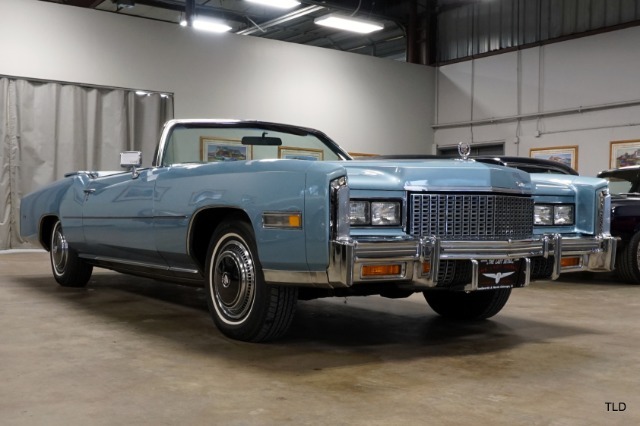 All Original 5,985 Mile Survivor! 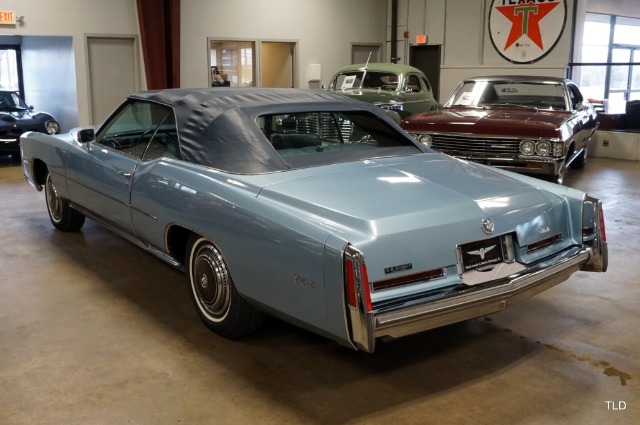 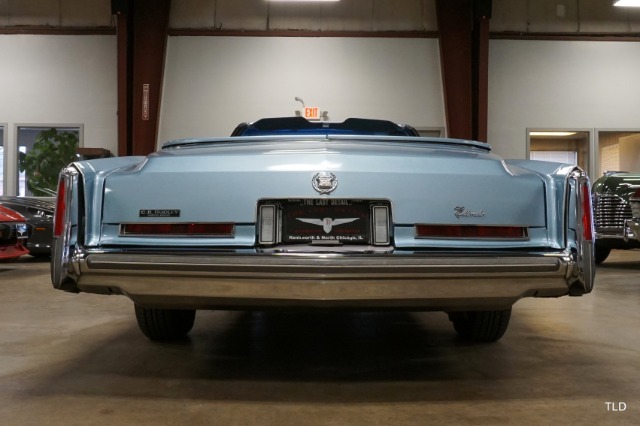 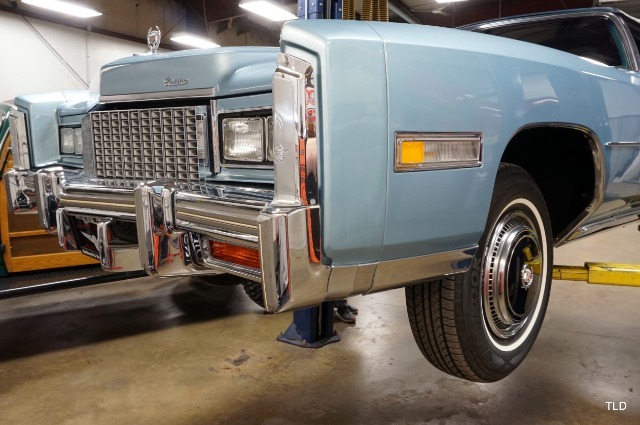 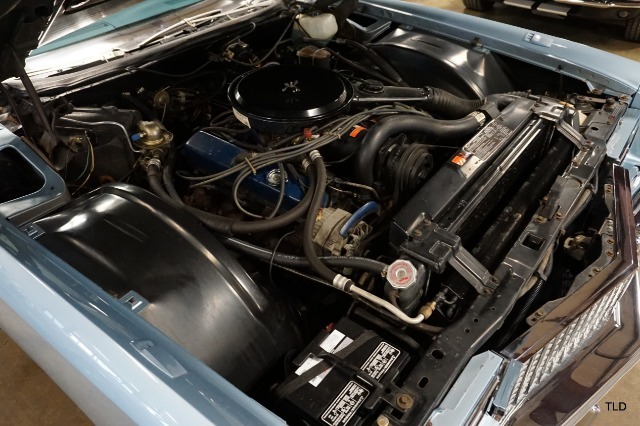 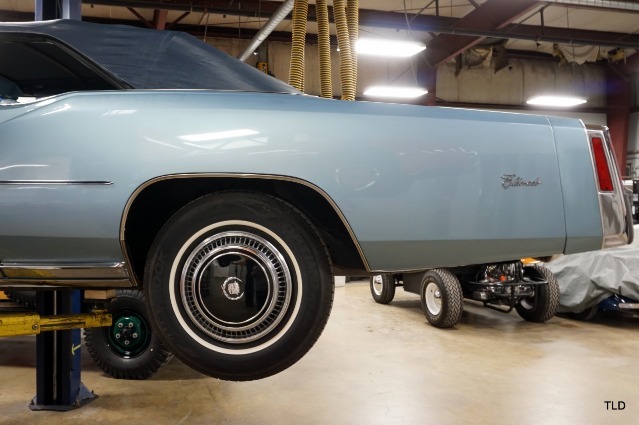 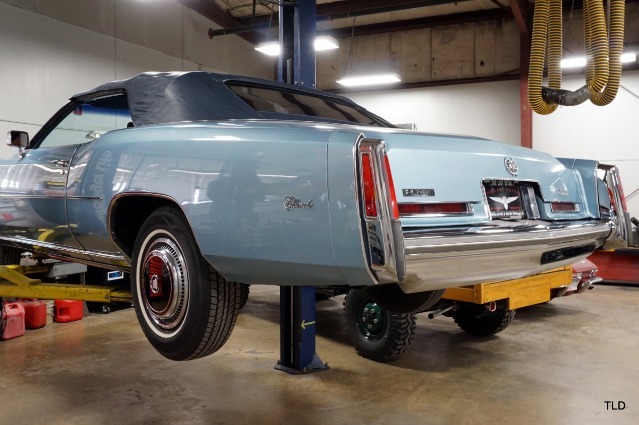 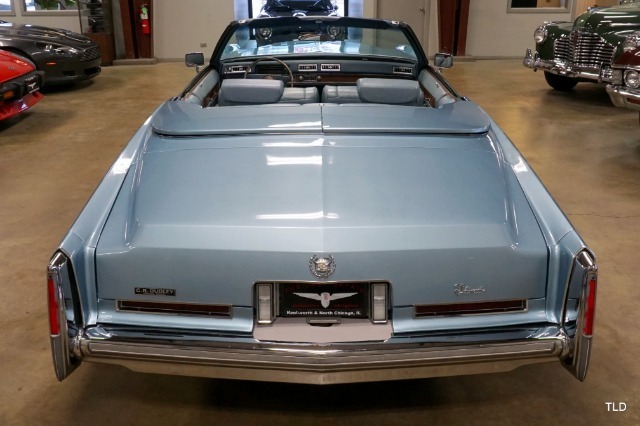 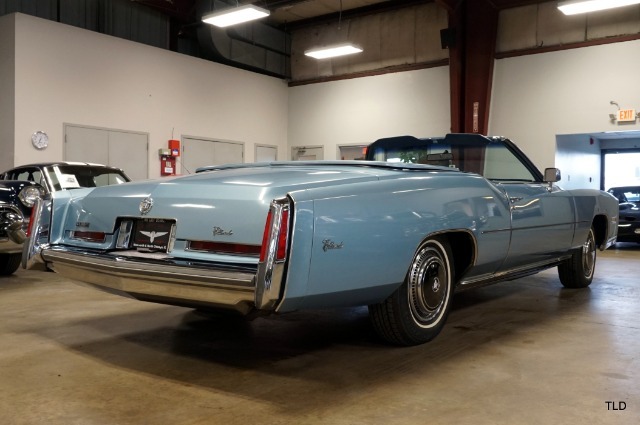 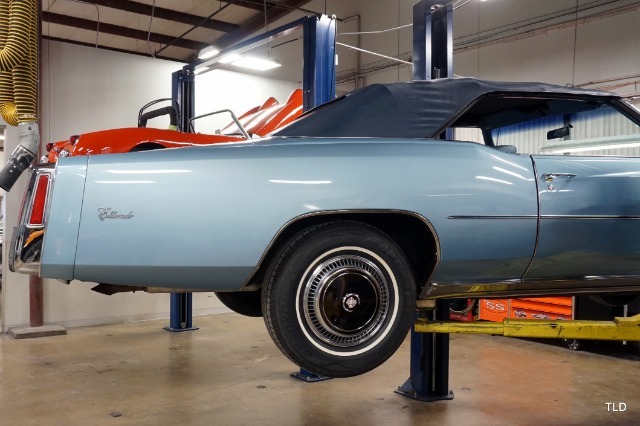 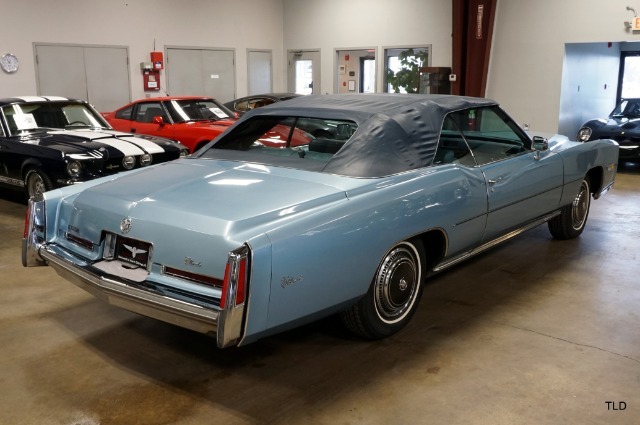 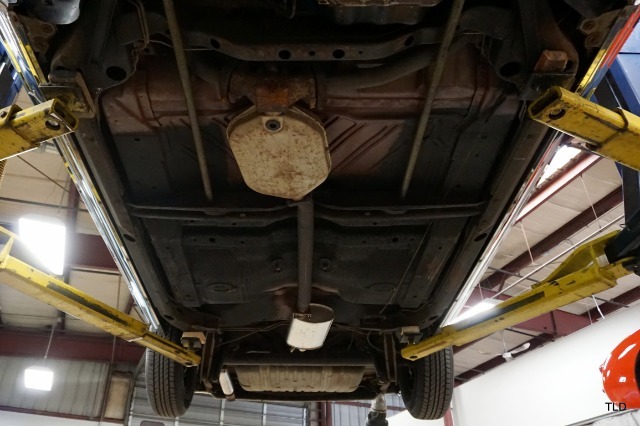 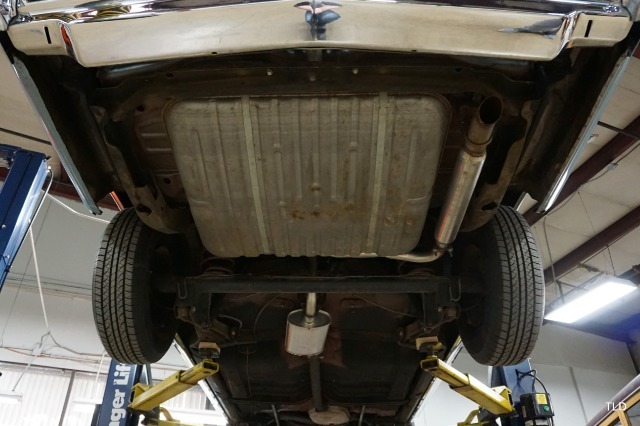 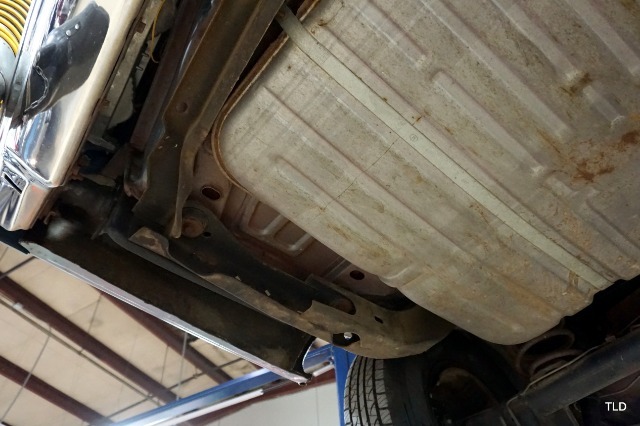 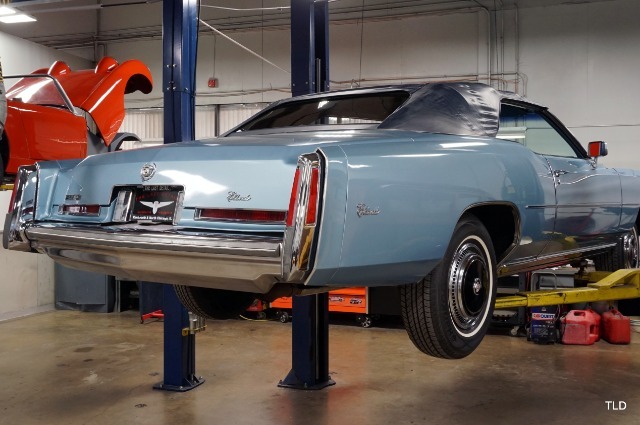 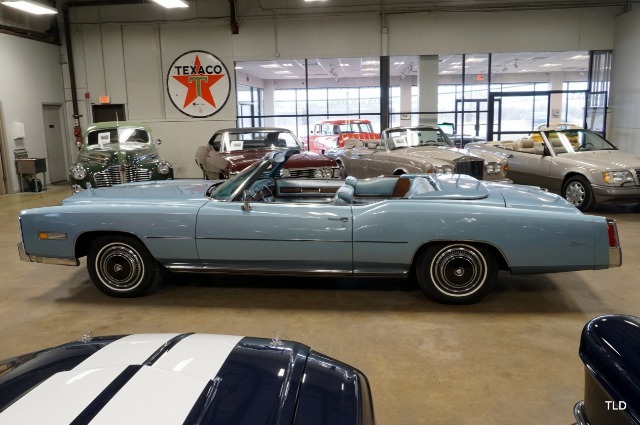 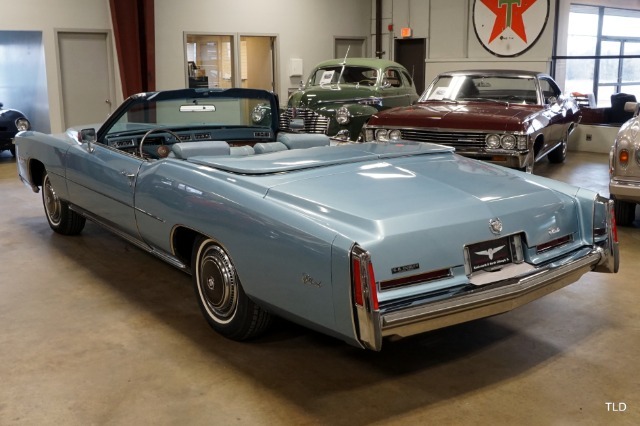 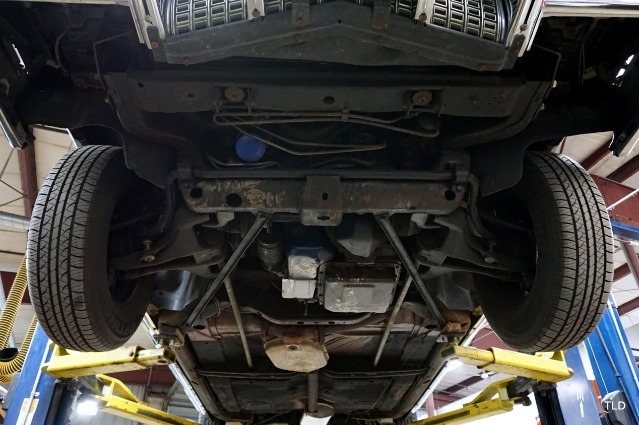 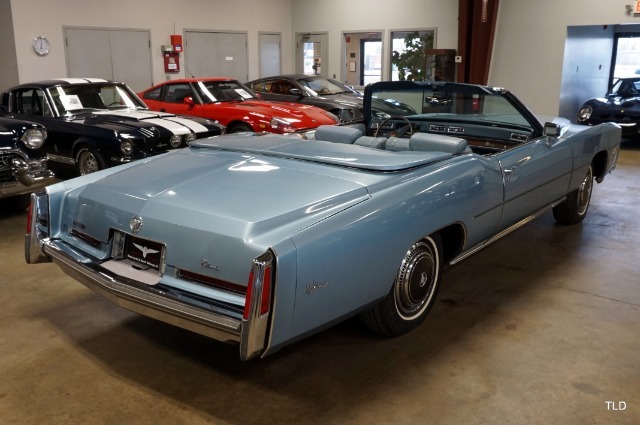 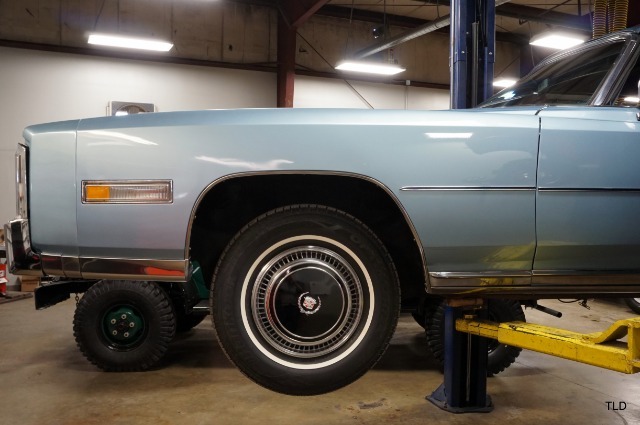 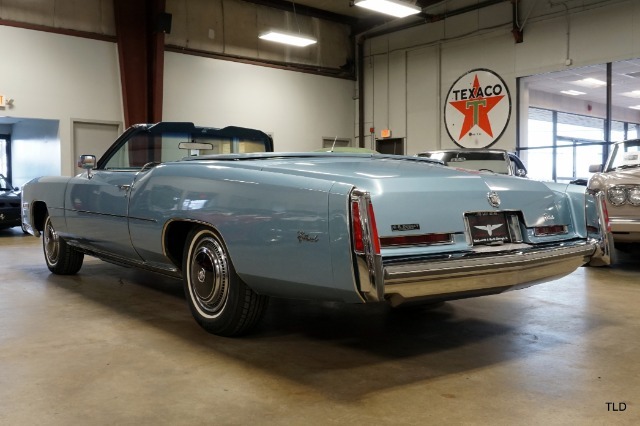 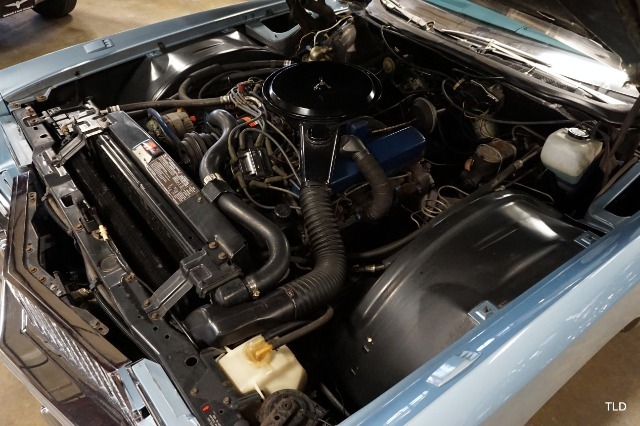 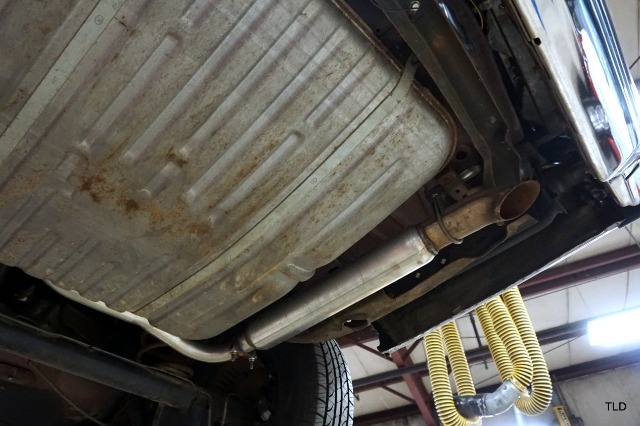 Stored in a climate controlled environment since day one, this low mileage survivor is in beautiful condition from the floor pans to the convertible top! 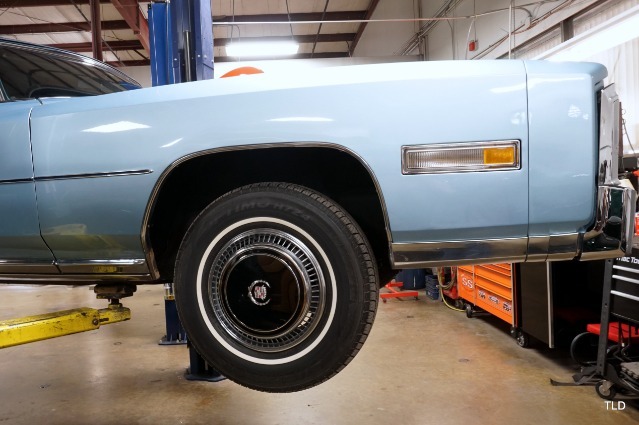 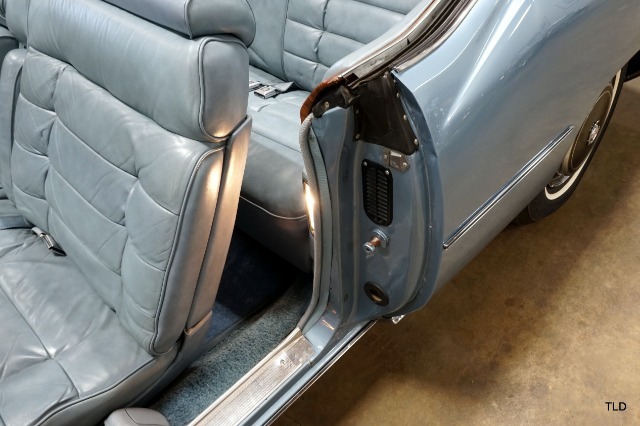 The original Innsbruck Blue exterior is complemented by brilliant trim work, highlighted with the one year only black wheel covers. 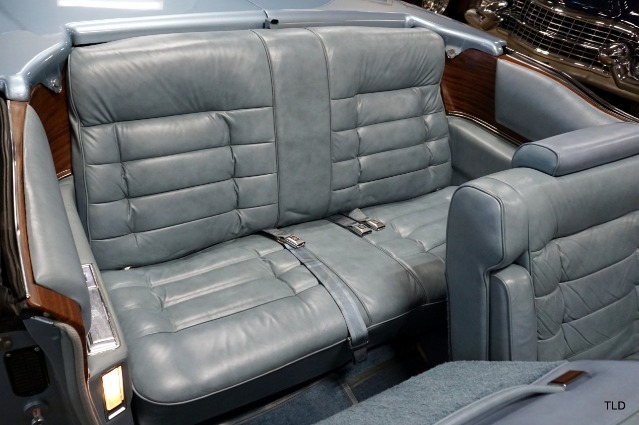 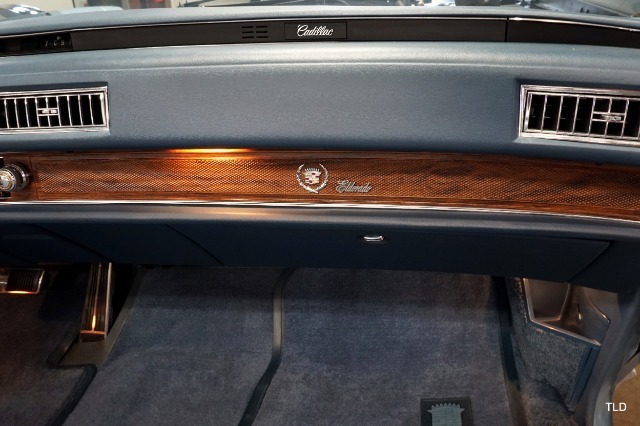 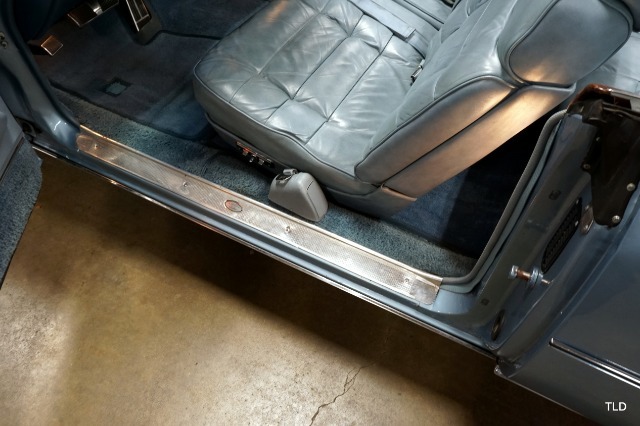 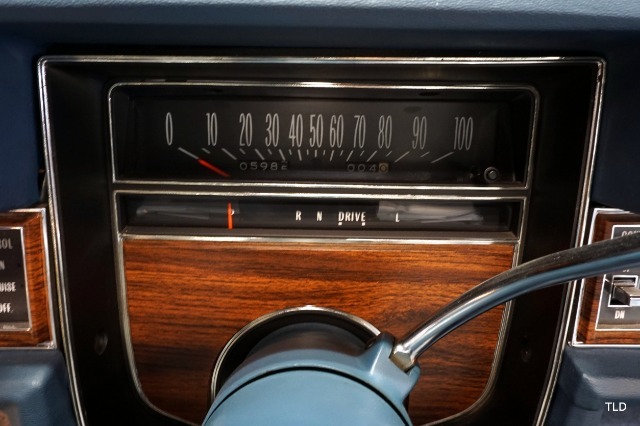 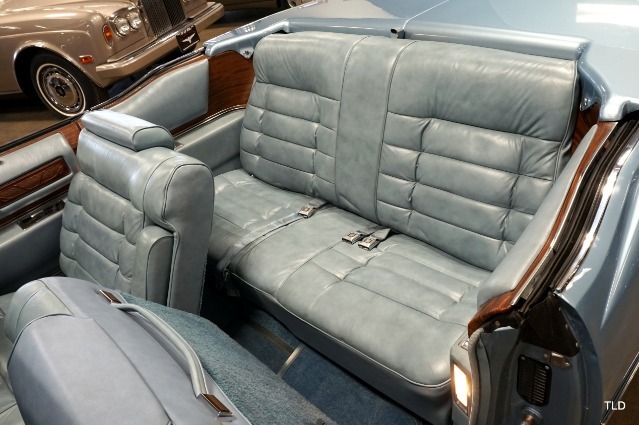 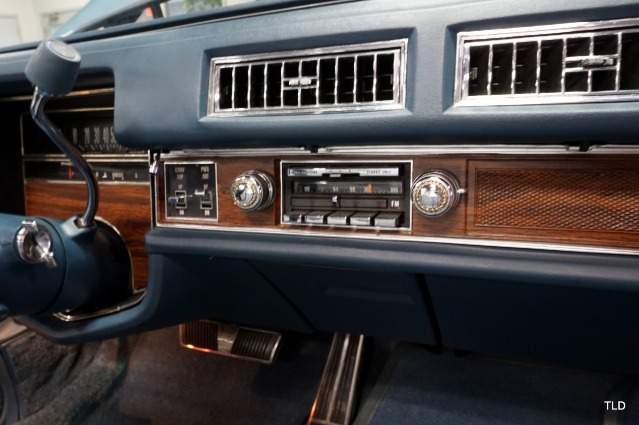 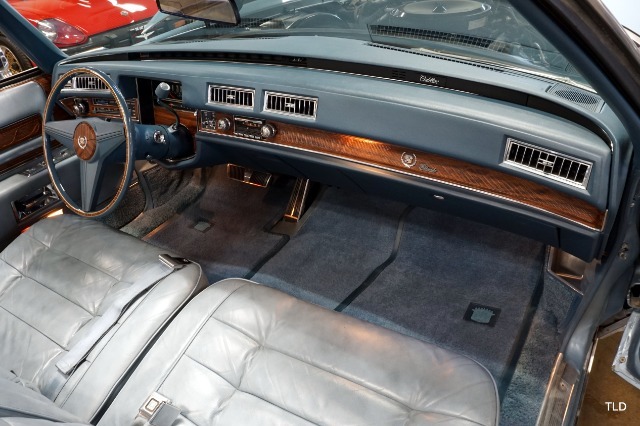 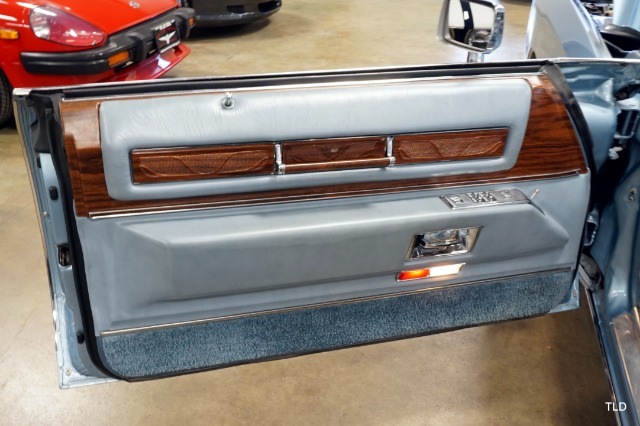 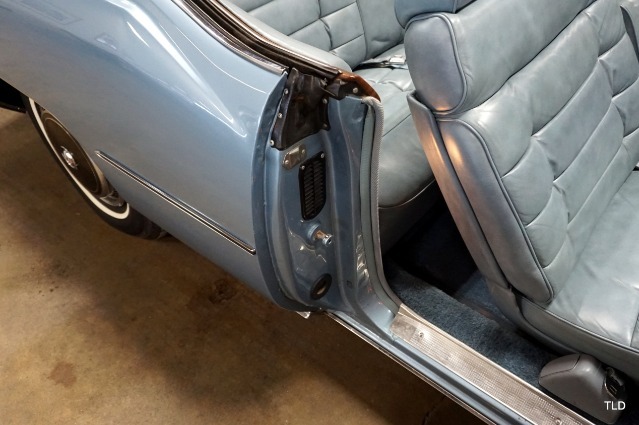 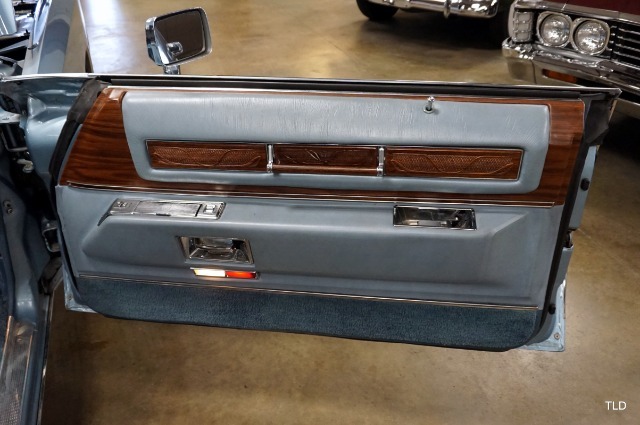 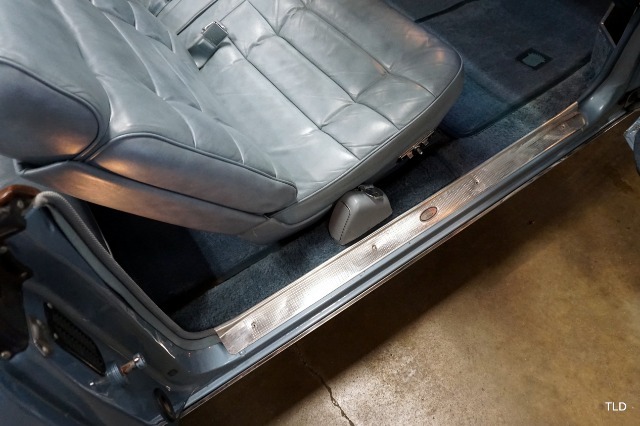 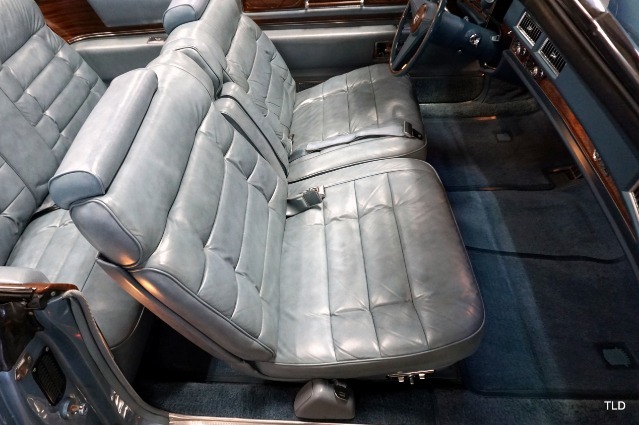 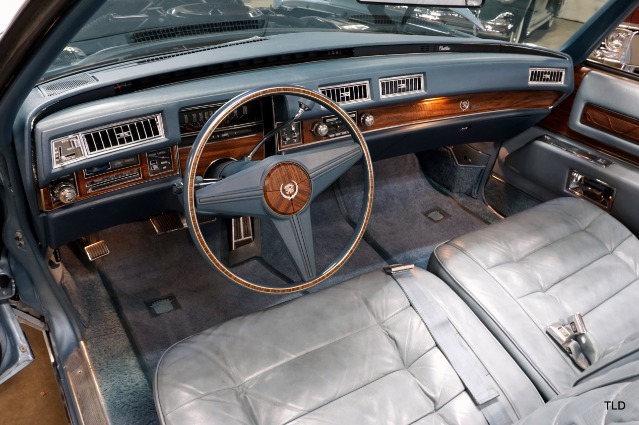 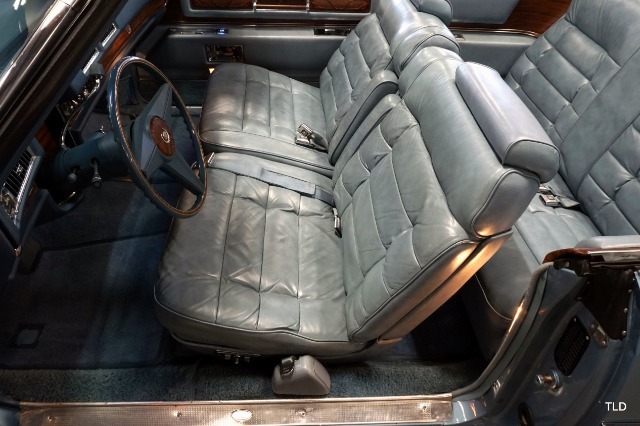 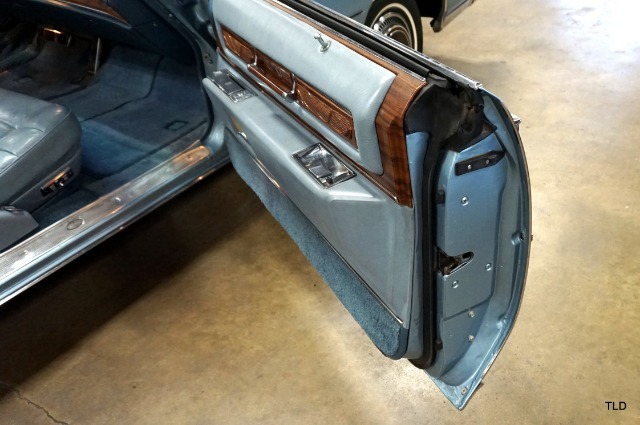 The light blue leather interior remains in excellent original condition along with the wood applique throughout. 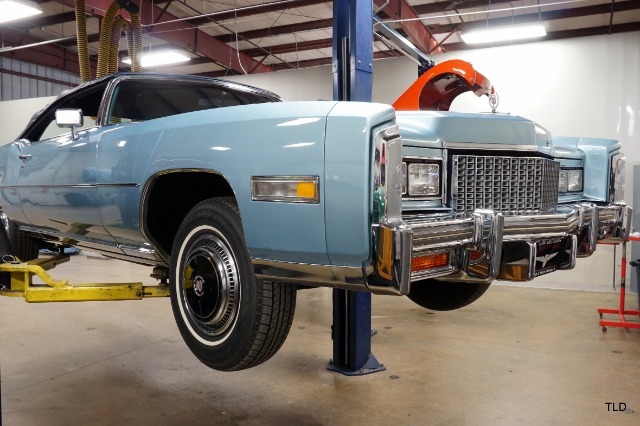 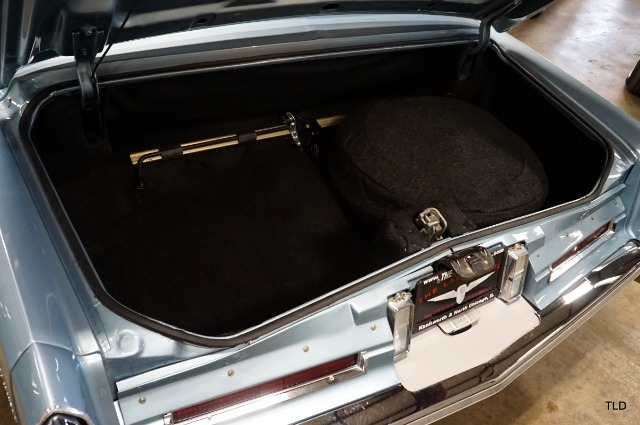 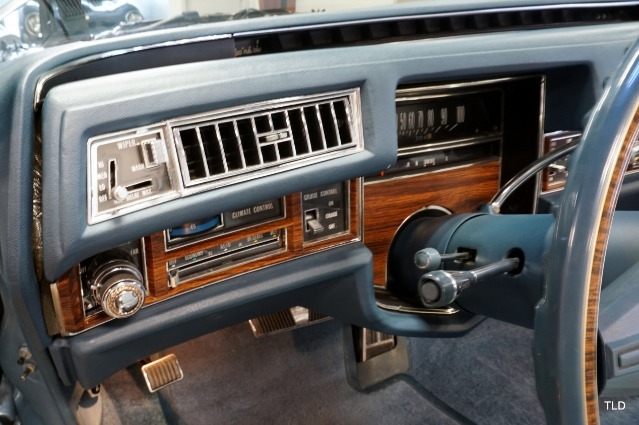 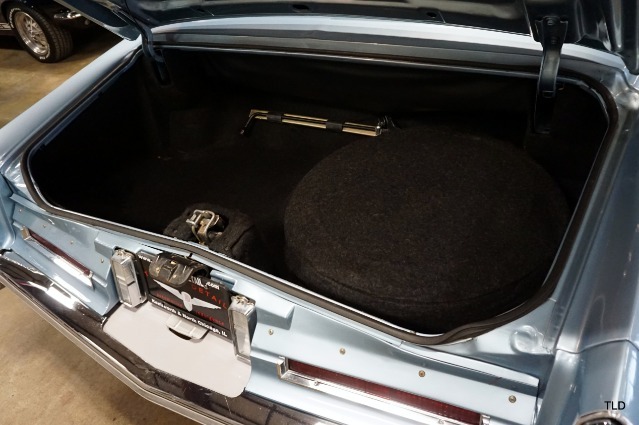 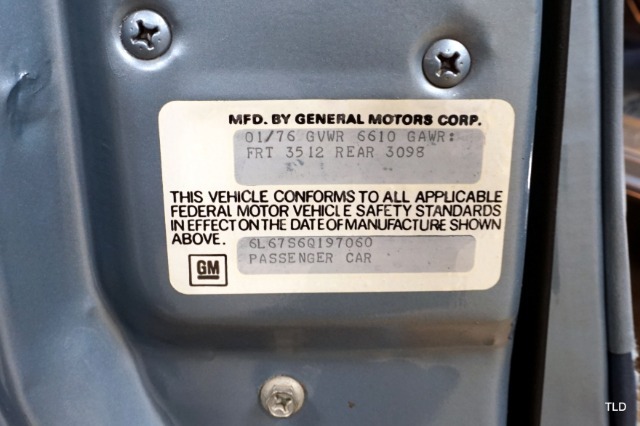 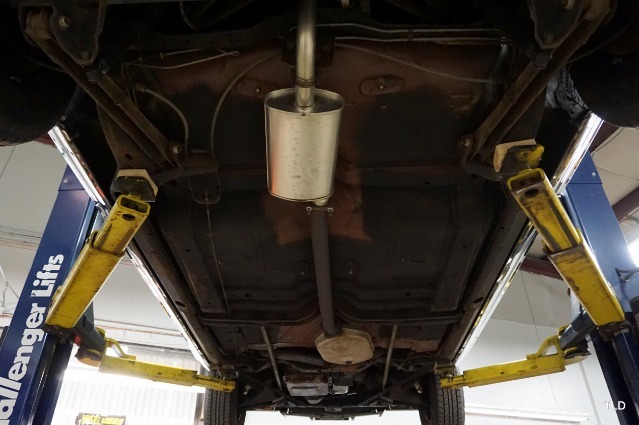 Factory options include AM/FM stereo with power antenna, power front seats, twilight sentinel, tilt and telescoping wheel, remote trunk lock, and fiberglass parade boot. 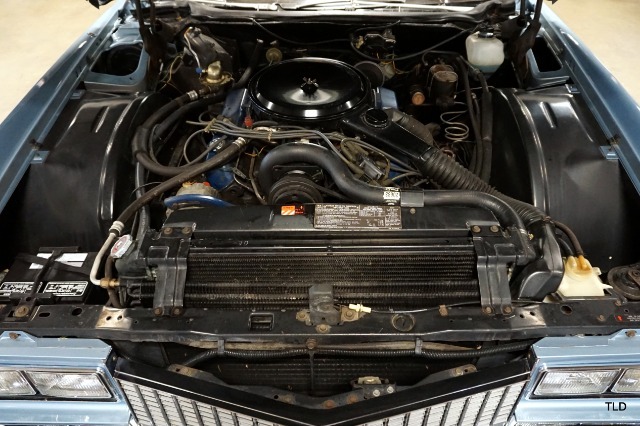 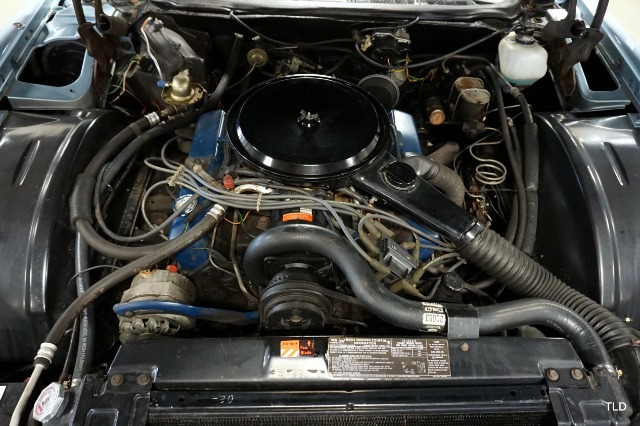 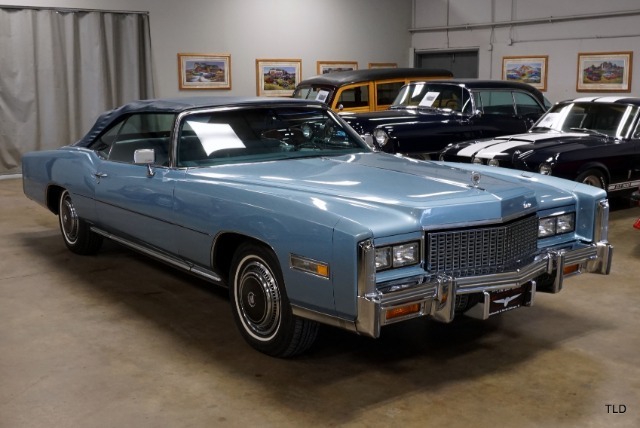 1976 was the final year of production for the 500 cubic inch V8 that was paired with GMs front wheel drive Turbo-Hydramatic transaxle. 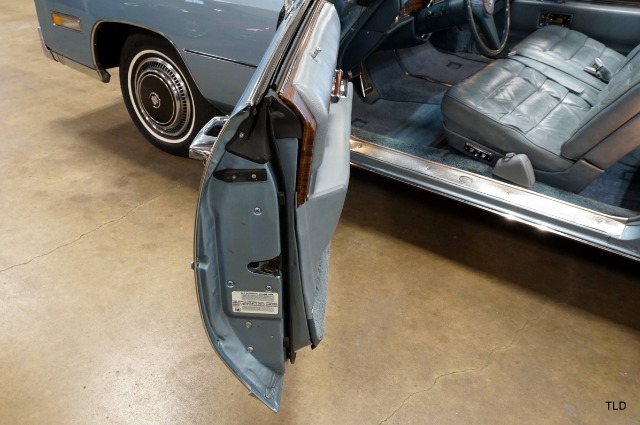 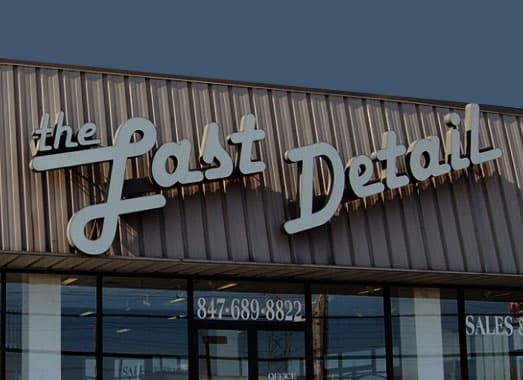 Original owners manuals, window sticker, invoice and binder of history are also included with the sale. 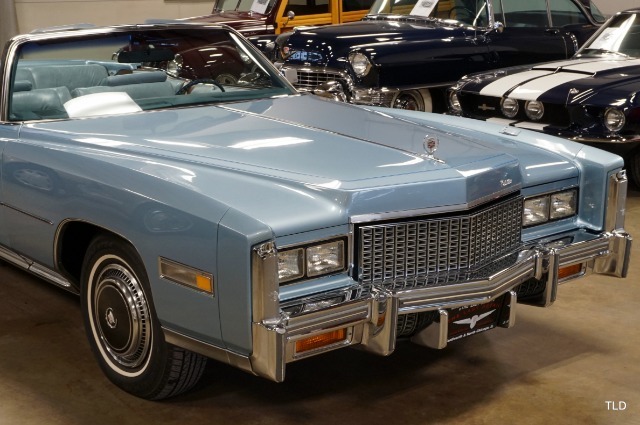 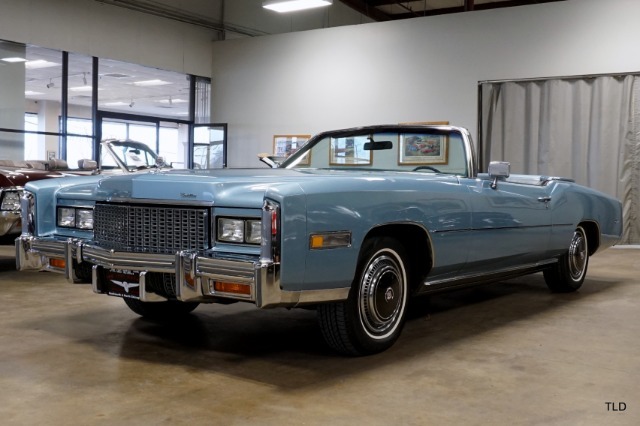 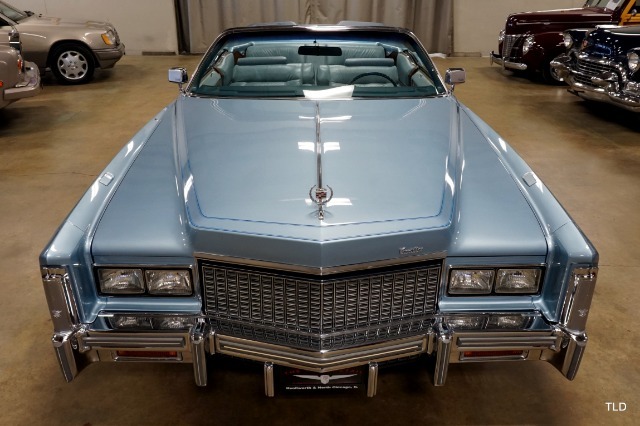 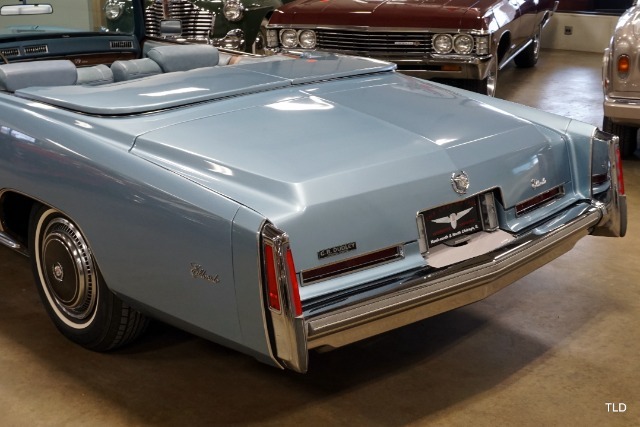 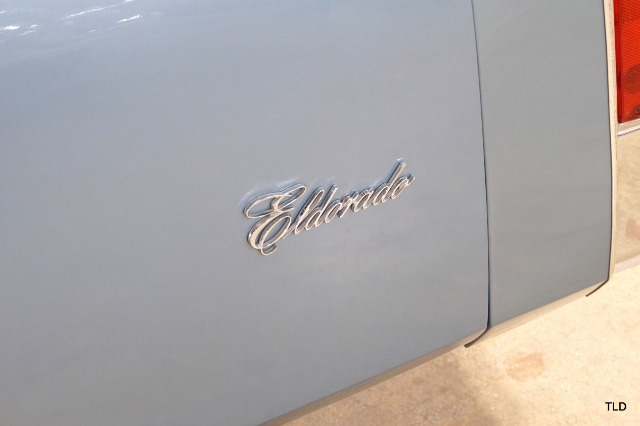 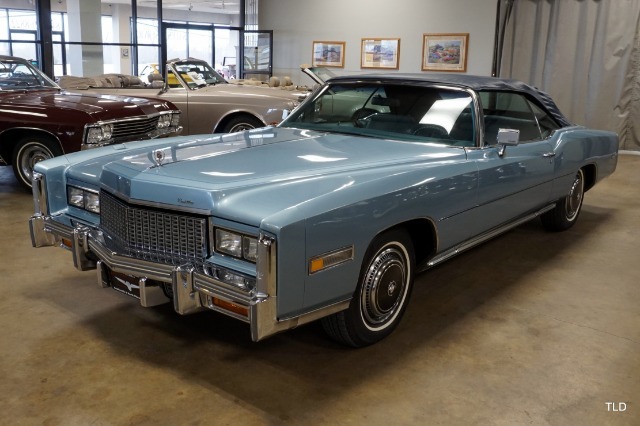 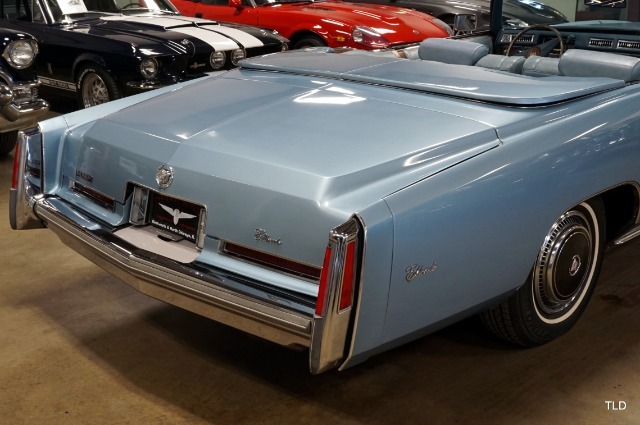 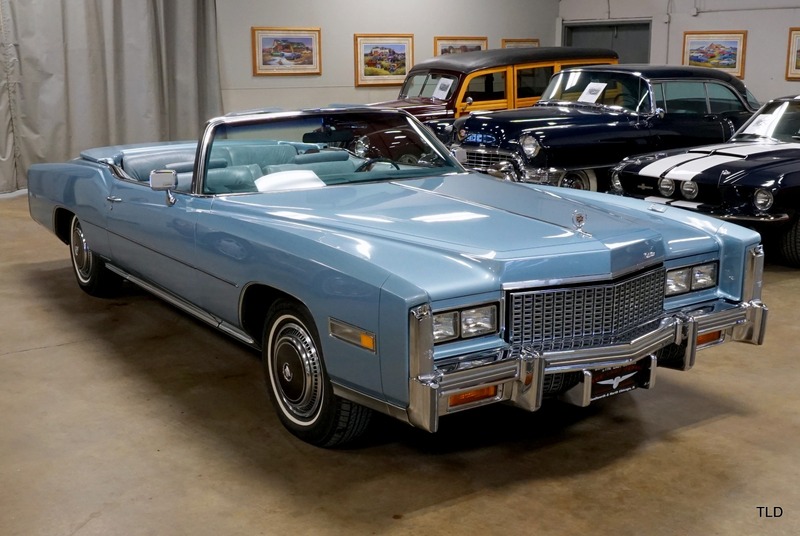 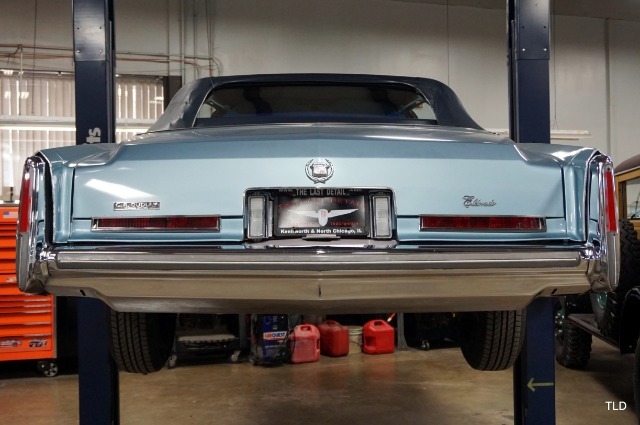 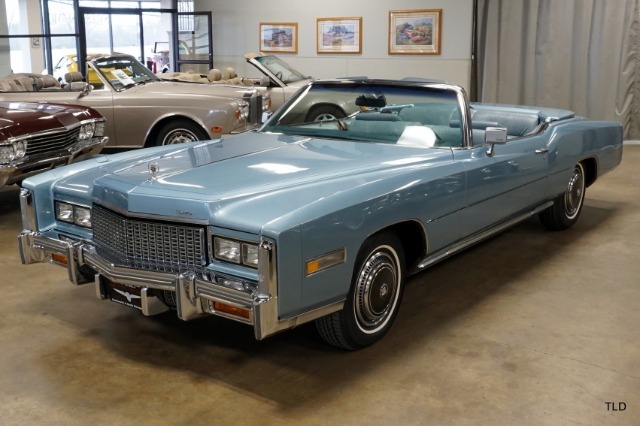 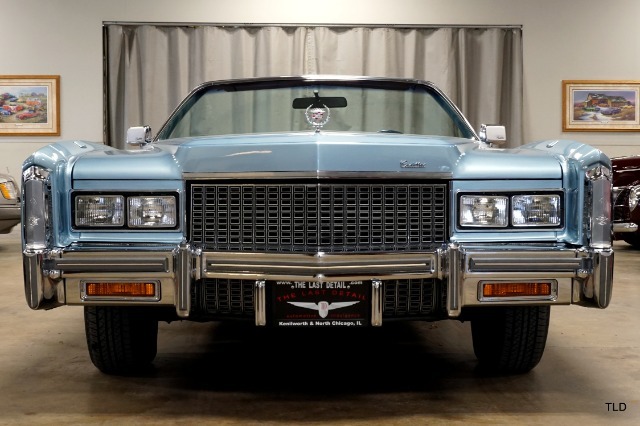 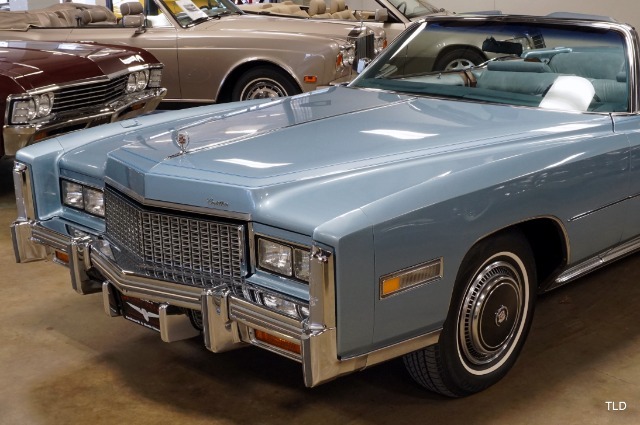 This spectacular Eldorado will make an excellent addition to any collection, so give us a call today to find out more!